Tap into the Internet’s potential and build a better future for your business. for a lifetime of clients’ trading. for Non-Qualified Active Traders based on lucrative fixed $ rebate/lot plan*. you activate, the higher your CPA level. through three Affiliate Levels (for higher CPAs) dynamically. to up-to-date statistics while your reports get updated every hour. *Payable rebates are defined according to the account type. For more information please refer to the T&Cs. Choose from our wide variety of banners and place it on to your website, blog or social media page and start actively promoting us by driving traffic to our page. There are three Affiliate Levels, each designated by the number of active traders and traded lots achieved within the 30-day Qualifying period. When the right numbers are reached, you get upgraded. Once your client’s 30-day qualifying period is over, you are automatically entered into the FXTM Partners’ Dynamic Rebate Scheme. You start earning weekly dynamic rebates while your clients keep trading. As long as they keep trading, you keep earning. Unlike other affiliate programs, you get paid for active clients even if they don’t meet CPA qualifications. As long as they trade, we will pay you in rebates (fixed rate $/lot)* according to the trading volume they achieve. 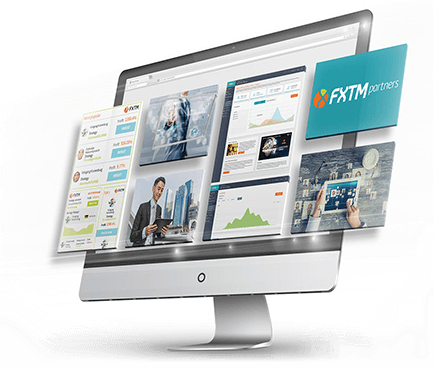 featuring FXTM’s tremendous advantages and Promotions. registration forms, pip & profits calculators, live currency rates feed, currency converter, etc. summarizing all information about your clients in an organized and user-friendly interface. for major networks including Facebook, YouTube, Twitter & Instagram. in standard ad sizes and a choice of popular designs. for your clients to register under your affiliate link. Start by filling our affiliate application form. Takes about two minutes to complete. Head over to the Tools section and get your banners, links and widgets. 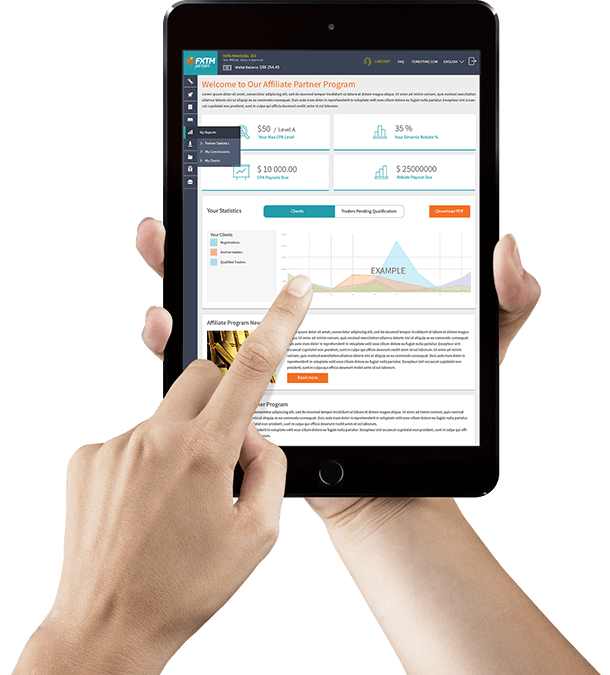 Earn from your clients trading based on your CPA Level + Dynamic Rebates.